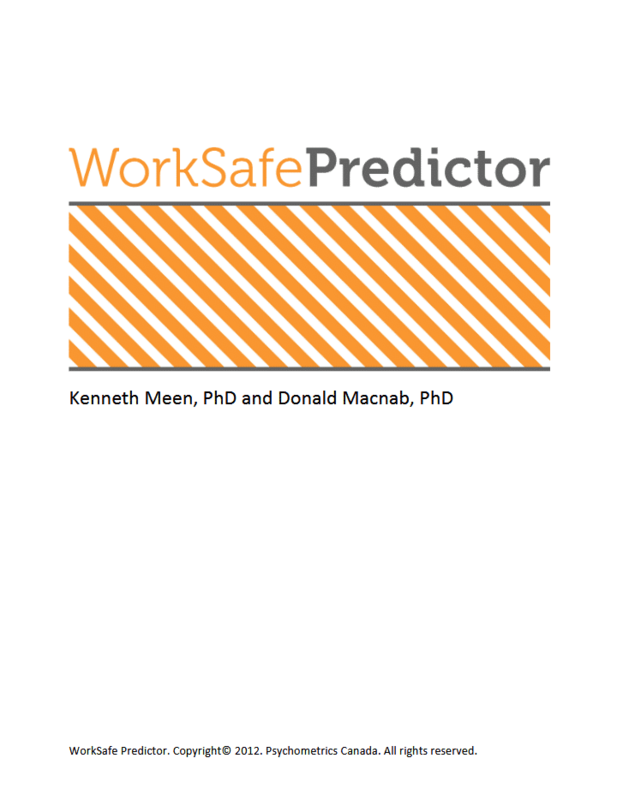 The WorkSafe Predictor is designed to assess patterns of thinking and acting that predict safe behaviour and the likelihood of remaining free from workplace safety incidents. It provides insight into safety behaviour that can be used in a developmental or selection context. This assessment is designed for testing adults in business and industrial settings where safety is important. No industry specific language or technical jargon is used so the WorkSafe Predictor can be administered in any industry and with any position. Results can identify “low safety risk” individuals or identify employees who are a “high safety risk.” It will help determine what aspect of the candidate’s behavior contributes to higher risk, providing opportunities to address those areas hindering safety. When administered to current employees, the WorkSafe Predictor will help determine the focus of training and development to enhance a positive safety culture. 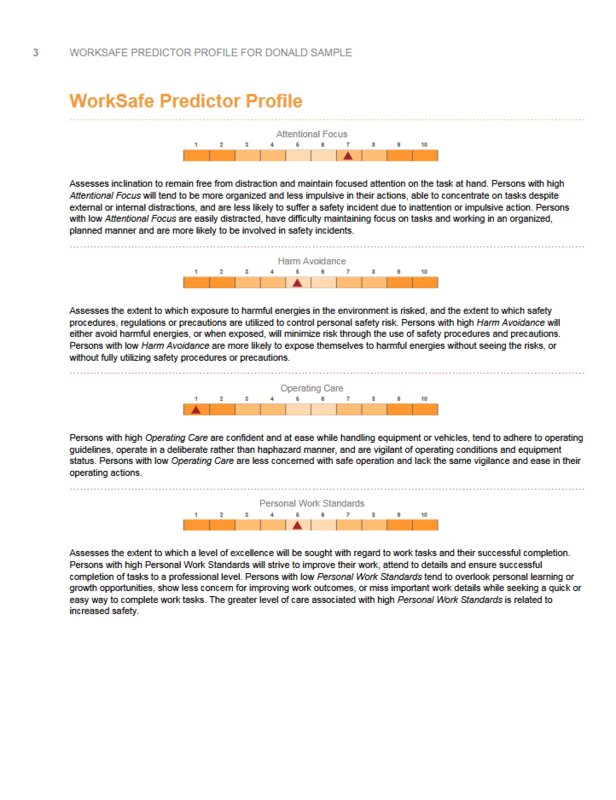 The WorkSafe Predictor reports on eight scales which identify the different thinking patterns that drive behaviour toward personal safety.